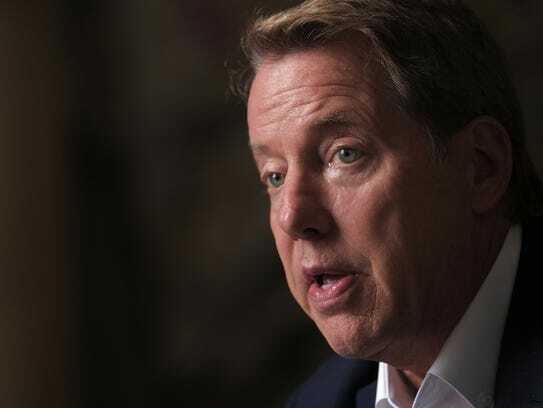 Bill Ford, great-grandson of company founder Henry Ford, sat in the depot’s cavernous, long-neglected lobby for an interview with the Free Press on Wednesday, two days after the company’s audacious purchase was announced. No one could have predicted a dramatic pivot that would include the carmaker’s return to the Motor City with the purchase of multiple parcels in the city’s oldest surviving neighborhood, sprinkled with renovated homes, condos under construction and a few boarded-up structures. 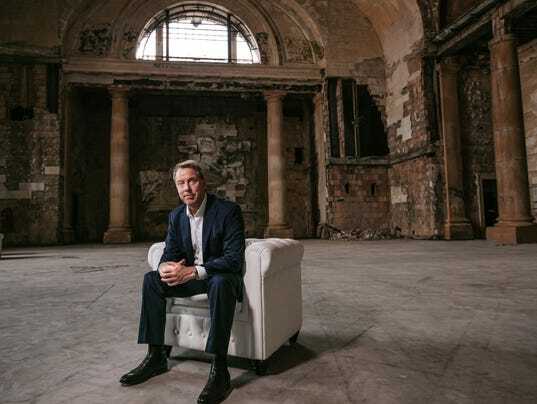 William Clay Ford Jr. will refurbish Michigan Central Station at 2001 15th St., a Beaux arts building embedded in the city’s narrative since its opening in 1913. “Then you start thinking of the middle class in our country being created. It was in many ways created right here in Detroit. So my vision going forward is that we are going to re-create what mobility means for the modern times. This will be the hub of it. Not just this building, our entire Corktown campus,” he said. Ford said he’ll seek input from the community. And he’s trying to decide what, if any, urban art element will remain. The train station is a passion project. The purchase has made headlines worldwide and holds the promise of rebranding Ford as a hip company willing to explore what’s possible while celebrating what once was. The car company could use the lift. Its stock price Friday was flat to where it was in October 2016, a little under $12 a share, while most competitors have seen strong growth amid record sales. One of the company’s biggest headlines of the past year is not about future mobility, but its decision to stop making all traditional cars but the Mustang to focus on F Series pickups and SUVs. Does Ford’s SUV gamble signal trouble ahead? 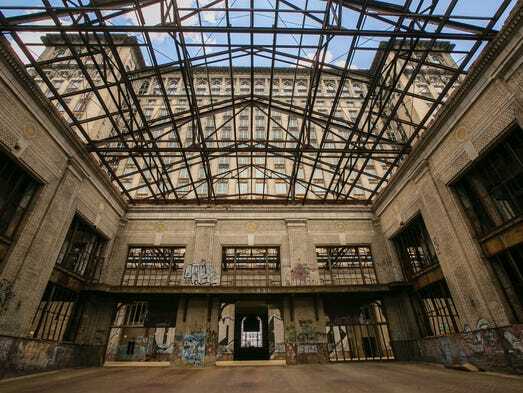 Will Ford’s Detroit train station purchase spark its stock price? On the company’s balance sheet, there’s a line for “net property” under “assets” that includes property transactions, appreciation, depreciation, machinery, tooling and equipment, among other items. Individual transactions are not broken out, and that means the public is unlikely to ever know what Ford paid the Morouns for the depot. 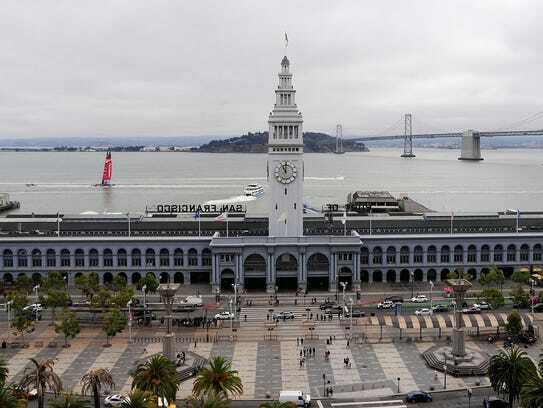 The line item was $35.3 billion in 2017, according to the annual report. “Look, we, in 2016, put money into our budget for the next five years to rebuild our campus. Doing this building is well within that budget. So, there’s no new money coming into this, and we’re getting some incentives to help us with restoration. So the business case actually works for this very well,” Ford said. Part of that solution eventually may involve Ford’s expectation of driverless shuttles. In announcing the sale, Matthew Moroun said “Ford Motor Company’s Blue Oval will adorn the building.” Ford isn’t sure. While Detroit has been undergoing a rebirth, “this kind of puts an exclamation point on it,” Ford said.